In most modern spiritual circles, the full moon gets all of the attention. People host and attend full moon circles, charge their crystals— and water— under the full moon and perform full-moon rituals. But what if I told you that the dark moon is actually the more spiritually potent moon phase? The dark moon is the period of about three days when the moon is not visible in the sky at all. This happens about every 28 days when the moon becomes in exact alignment with the sun. The dark moon is different than the new moon— the new moon is astronomically defined as the peak between the waning (diminishing) and waxing (growing) moon and is when the tiniest glimpse of the moon begins to reappear in the night sky after a dark moon. Energetically speaking, the moon rules spirituality, emotions, and the bodies and psyches of women/ all things feminine in nature. It has long been believed and observed that the moon has an affect on people— the words lunacy and lunatic both come from the Latin word for the moon: luna. The dark moon is in direct contrast to the full moon. Remember that the moon has no light of its own and is only reflecting the light of the sun, something we view as masculine in nature (and there’s nothing wrong with masculinity in spirituality! I’ll be talking about this more further along in the article). Because there is no light being reflected onto the Earth at night, spiritual activity increases and is more powerful during a dark moon. You may have even noticed that you and/or your children sleep more soundly during a dark moon versus a full moon because of the calm and quiet energy it brings. The dark moon may be ideal for charging your spiritual objects and for doing any moon-honoring rituals you feel called to do. Admittedly, it is easier to be outside and able to visibly see the moon when you want to work with it, but spirituality, in general, is about working with and honoring something you can’t tangibly see. If you already are working with the full moon, I invite you to switch it up and work with the dark moon for at least three months and to see what happens/which you prefer. Another reason the dark moon is so powerful to work with is that it corresponds to the menstruation phase of a woman’s cycle. Although menses has been demonized and shamed by most cultures, and I believe that is changing, it is actually the most powerful and blessed part of a woman’s cycle (which is why it has been demonized and shamed). When a woman menstruates, hormonally-speaking, the two spheres of her brain are in more direct communication than any other time of the month. The right side of the brain is the “feminine” side and rules intuition, creativity, emotions, etc. The left side is the “masculine” side of the brain and rules logic and reason. Typically a person, whether male or female, switches back and forth from operating from one side of the brain to the other, several times a day and certain tasks can activate one side over the other in a sense. When women are menstruating and their brain is more holistically engaged, they are able to see problems and situations from multiple angles and with multiple solutions— pulling from both the logical and creative sides of the brain. This makes them wise allies for not only themselves but for their families and communities. Working with menstruation is the same as working with the dark moon: rest, release, reflect, relax. Words that begin with “re” tend to be feminine in nature and are great actions to take at this time: reframe, refresh, revisit, etc. 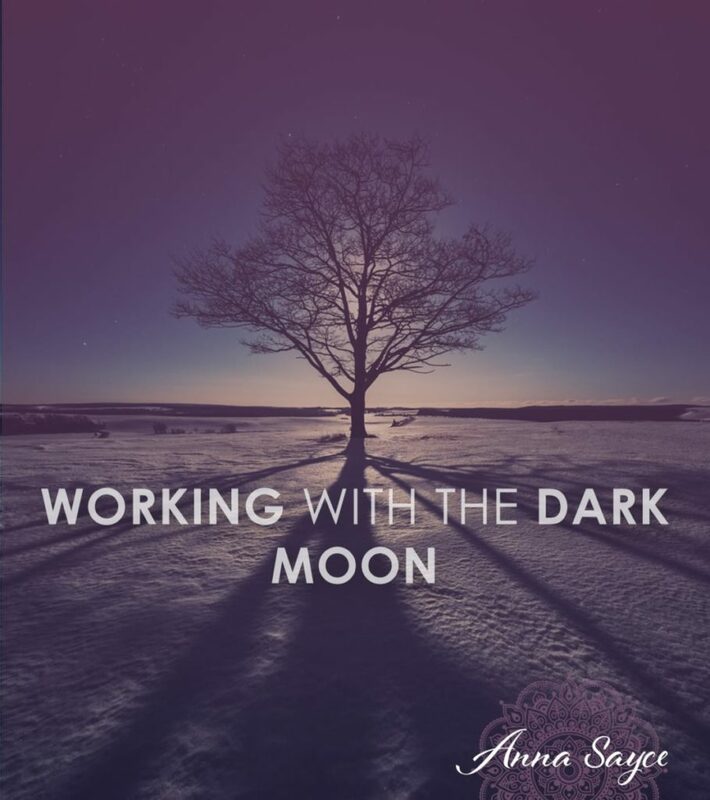 What’s more, if you learn to track your menstrual or the lunar cycle, you’ll notice that the time of the waning moon/the PMS phase of your cycle will bring up the things you need to revisit during the dark moon/menstrual phase. Whatever it is that is driving you crazy during your PMS (or luteal) phase of your cycle is pointing to something important: what is no longer working for you? For me, I used to become very upset about the design and function of our house. I live on a beautiful mountain in Costa Rica with lots of nature around. However, the man who designed our house did not take nature or the view into consideration and we had a too small, too dark, dysfunctional living room. I could live with it . . . until I entered the pre-menstrual phase of my cycle. Then it was the only fault I could see. Changing the room and letting more light and space into the most used area of our house was all that I could think about, complain about and cry about for several days, once a month, like clockwork. As petty as it may sound, I knew that the state of our living room was having serious emotional, spiritual and mental consequences for me, the homemaker and nurturer in the family—- which meant I was also experiencing physical backlash from the stress. Finally, after nearly four years, my husband tackled the problem, which here in Costa Rica only cost us a couple of hundred dollars and some time. And now I can curl up with a blanket and a cup of tea in my bright living room, look at the gorgeous mountain valley view and let other things come up for me to analyze for myself, my family and my community during my pre-menstrual phase. Whatever comes up for you during your pre-menstrual phase (the 5-10 days before you begin to bleed), take that with you into your bleed. Sit with it. Analyze it, and see what creative solutions may come up. When you’re doing bleeding, or when the moon is waxing, that’s a great time to begin to take action on your new plan or idea. It has the energy of Spring and new beginnings. If you don’t menstruate for any reason, including if you are a man, you can bring in this feminine cycle of rest, relaxation and reflection through the moon cycles. You can also think of it as the seasons if you prefer. Spring is the waxing moon or the time after you stop bleeding. Summer is the full moon. Autumn is the waxing moon or pre-menstrual phase and Winter becomes the dark resting phase of the dark moon or menstruation. Tracking your cycle or the lunar cycle has never been easier. If you have a smartphone there are dozens of apps to choose from. I recommend an app called CLUE because it is beautiful and simple. My second choice is an app called MyFlo which will give you all sorts of information about where you are in your cycle, including what foods to eat, exercises to try, self-care practices, etc. The app will even email your partner weekly updates about where you are in your cycle and how he or she can best support you. I, however, find all of the information a bit overwhelming. You can also use a standard calendar to track— just mark the days that you bleed, or the days that the moon is dark, and then mark them again next month. Bonus points for also marking the heaviness of your bleed and any emotions or physical sensations you are experiencing. Finally, a journal is a wonderful but optional companion to your cycle tracking. You can journal about the things that come up premenstrually, the solutions you come up with when you’re menstruating, the action you take when you stop menstruating and the results when you ovulate/the moon is full. Do you track your cycle or the lunar cycle? What have you learned? If you don’t track, what do you think about trying it for a few months? Darla Antoine is a mixed-race First Nations tribal member (Okanagan), an ancestral activist and healer, practitioner of the sacred domestic arts, mother and accidental homesteader in the high mountains of Costa Rica. 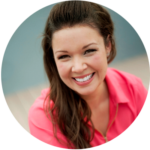 Darla helps mixed-race and mixed-culture seekers discover the medicine, blessings and power in their ancestral/spiritual lineages. She does this by combining her spiritual work with her experiences as a mixed-race woman and expat with her master’s degree in Intercultural Communication. In the hindu tradition the dark moon is known as amavasya. It is dedicated to deceased ancestors. If only I could figure out how to keep my late stage Chronic Lyme Disease at bay during these moon cycles, I might be able to heal and put my disease to sleep (eradication) during the week of the full moon, the bugs do their hatching and start the vicious cycle all over again!! I have always loved, appreciated, and worked with the full moons. This info about my cycle, I did not know… I no longer have one but I definitely want to learn how to work with my feminin/masculine sides!